Swap out plastic water bottles with this price drop on the Ello 20 oz. 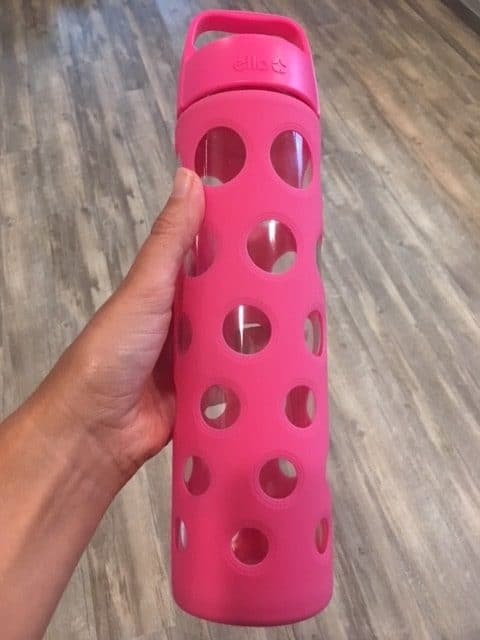 glass water bottle on Amazon! This glass water bottle with silicone sleeve is marked down to just $5.77! I own this exact bottle and it’s really sturdy. It’s also larger than the other leading brand of glass water bottles, yet still fits in cup holders. This price drop is on the pink bottle here. It’s an add-on item so you’ll need to order it as part of a $25+ order. Order a few or check out these other Amazon deals to reach the $25.